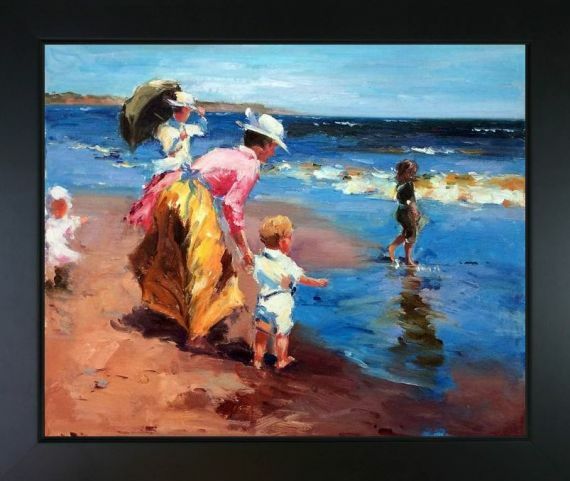 Hand painted oil reproduction of a famous Potthast painting, At the Beach . 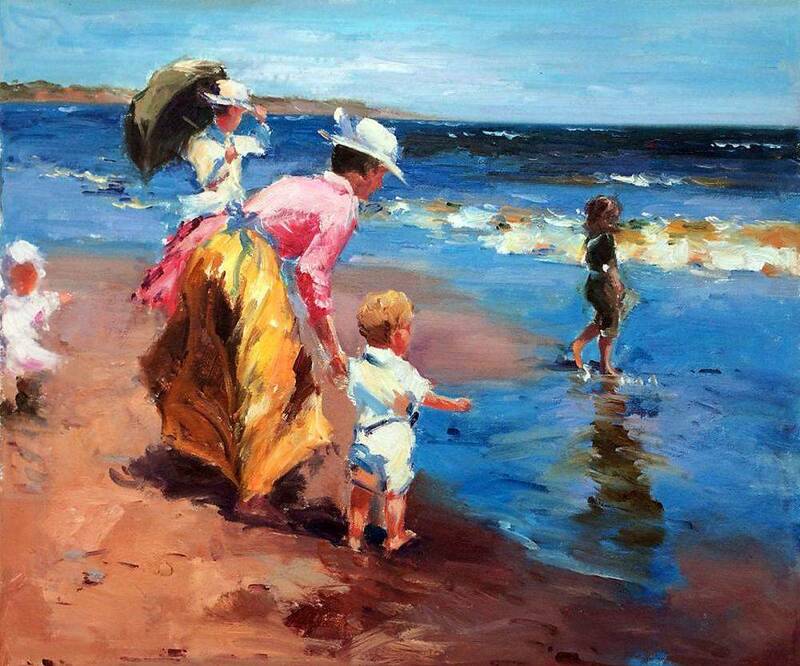 This is a remarkable oil painting with exceptional use of color, detail and brush strokes. Today the painting has been carefully recreated detail-by-detail, color-by-color to near perfection. 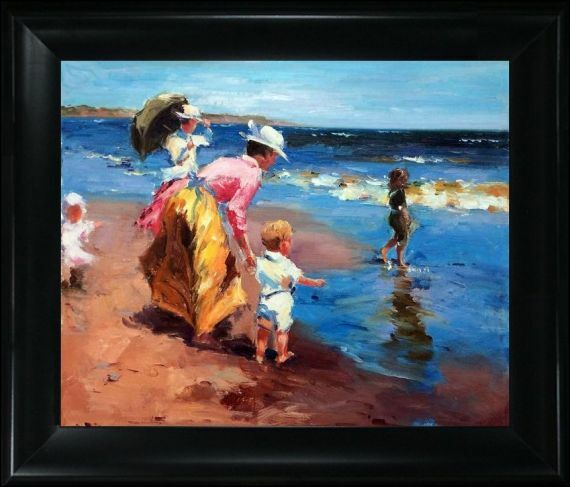 Edward Potthast was among the best of the American Impressionist painters, popular and successful, who was strongly influenced by French Impressionism. 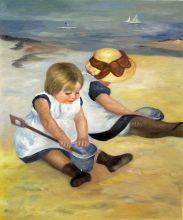 Born on June 10, 1857 in Cincinnati, Ohio his paintings avoid complex emotions and instead depict happy carefree moments. This oil painting shows nature in all her grandure with tall trees and calm waters all the way back to the towering mountains. This painting is sure to bring many admirers. 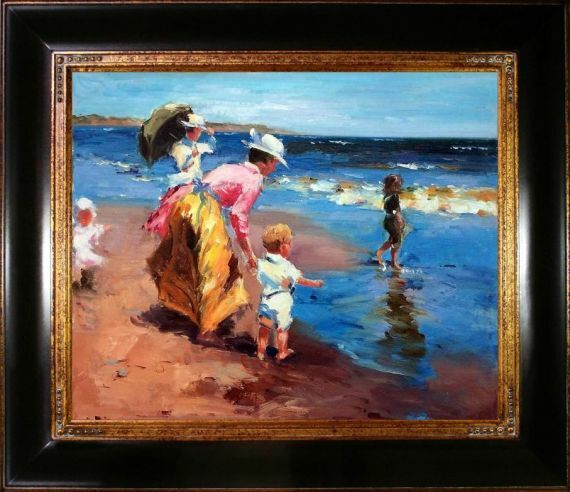 Bring the magic of a day on the water into your home with this oil reproduction of Edward Henry Potthast's At the Beach. 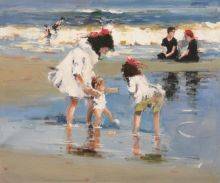 The American painter was known for portraying happy, carefree moments, often depicting people on the beach or otherwise at leisure. 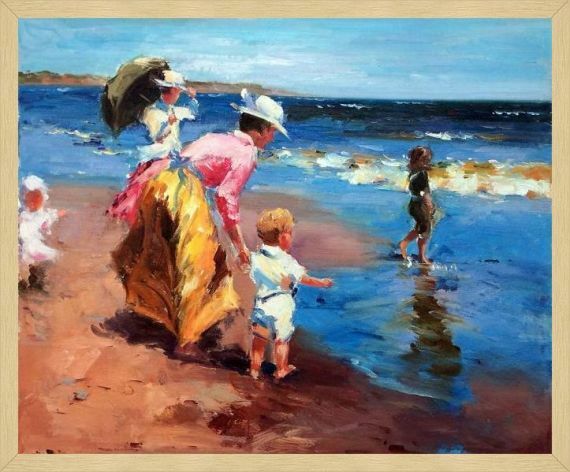 This painting of two mothers and their children approaching the calm waters perfectly captures this motif, offering an early 20th-century snapshot of an occasion without worry. Potthast (1857-1927) studied in both Munich and Paris, becoming one of the leading American Impressionist painters while also taking on the strong contrasts and subdued colors of his Munich paintings. 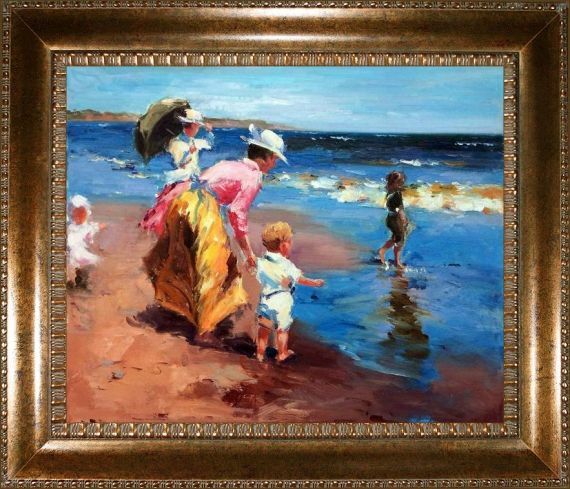 This led to great popularity and success in his lifetime, and with this piece in your home, you can't help but feel the joy and free-spiritedness that Potthast and his subjects undoubtedly did.